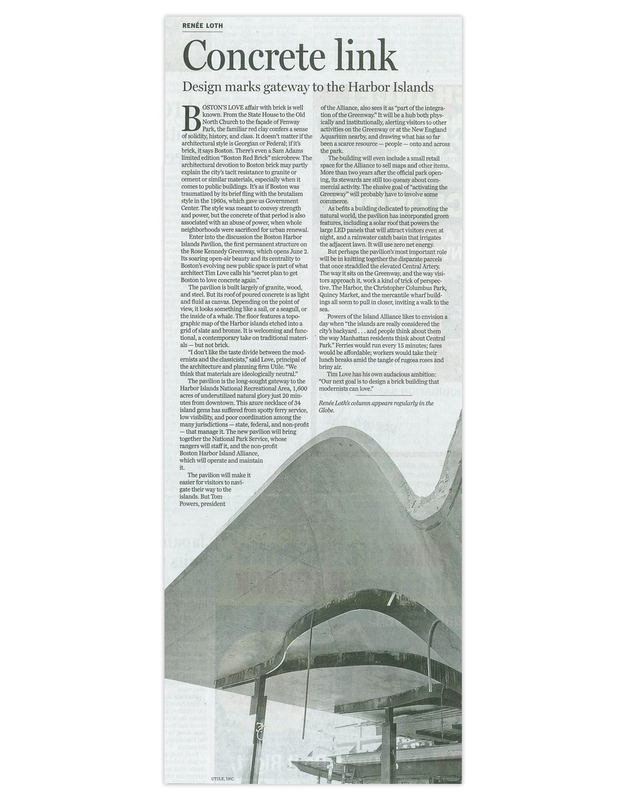 Boston Harbor Islands Pavilion was featured prominently in an op-ed by Renée Loth in the Boston Globe this past weekend (full article here). The article highlighted the pavilion’s forward-looking design, its full range of sustainability features, as well as its urbanistic impact on the Greenway and beyond. The pavilion will open to the public on Thursday, June 2.